Famed author and great resilient woman Elisabeth Elliot died this week at 88 years old. I got to meet her years ago when she spoke at Baylor University. Photo courtesy of YBW Mag. If you scratch beneath those early years, you’ll find the words of Elisabeth Elliot. Her message of relentless hope has carried so many through adversity to the other side of deeper healing. I spent part of this week looking at skeletons and footprints from Dinosaurs in a museum. It’s fascinating to realize that these animals have left an impression that’s lasted countless years. I also heard sad news of a tremendous author passing away and it made me think—what kind of fingerprint do I want to leave when I’m gone? When Elisabeth Elliot came to speak at Baylor when I was an undergrad, the news spread quickly and the large white building with high white walls and stained glass was filled to the brim. Somehow, I was lucky enough to sit in the front row. She was a tall, gracefully gray-haired woman with a kind but firm expression and gentle, metered voice. Her words seemed to cost her dearly, each one measured carefully like ingredients in an intricate recipe. She described waiting to marry her love, and one night when they took a walk in a cemetery and sat down, the moon rose behind them, casting the shadow of a cross between them. He had to go abroad for a while, so she had to learn to wait patiently, she related to the hushed audience. I could almost feel the moonbeams and easily picture the rise and fall of disappointment in her fluttering heart back in the day. Her mastery of description made me feel like I’d just tuned into a Hallmark show, where the loved ones would be separated. I greatly respected the choices that she made in her youth to strike forward in service and count the cost of her decisions carefully. I’d never heard anything like this before and it had me riveted to the hard wooden seats. Her discussion of her first husband, Jim Elliot, and his tragic death, speared by natives, followed with stories of forgiveness and new beginnings. As she drew to a close, I remember the feeling of my shoes sinking into the deep carpet as I rose to shake her hand in thanks, never knowing that her words would make a deep mark in my outlook, like my shoe print did in that plush carpeting. If you look carefully, I hope you can still see it today. The thing that spoke to my core was her message of a faith that surpassed circumstances and could survive the worst things in life’s despairing moments. That outlook has been so integral to planting firm roots that weather the storms. For example, this week I found out my father’s having heart surgery, and a dear friend has had a terrible illness that put her in the hospital very unexpectedly. It’s that watchtower of hope that propels you forward or enables you to really pitch in and help when others may need to see a word-picture of resilience amidst uncertain times. Elisabeth Elliot has faced so many difficulties, her purity of resolve and source of inspiration speaks whispers of encouragement to me still after so long, like smelling honeysuckle on the evening breeze. I long to sit and be filled with those breezes again, and feel afresh and anew in my outlook. The winds of change haven’t removed this original thought but have shaped it into my own direction. As a gemologist, I’ve studied inclusions, some called fingerprints, inside of beautiful gems. They provide clues to the makeup of the gem and can heighten or detract from their beauty and value. So when I see the beautiful geodes and amethysts as tall as I am, I keep thinking of how to leave a lasting fingerprint that won’t scrub off with Windex. For me, its writing, making sure I connect with loved ones, playing with my kids, being there for others in difficult moments, and looking for the good in life that I hope will be my fingerprint on those in my circle of readers and friends and family. What are your fingerprints you hope to leave behind? Who would you give them to and how? What ones do you cherish the most in your life? 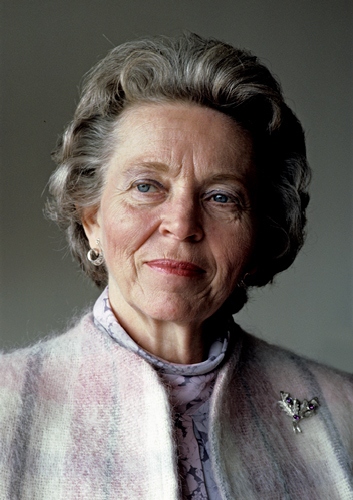 For more information about Elisabeth Elliot, and to hear an audio lecture very much like the one she gave years ago at Baylor, check out this link here. Be sure to scroll past the intro to her picture to hear the heart of the message. This is beautiful, Elizabeth. Ms. Elliot has been such an inspiration to me and I know many others as well. I had no idea she passed away this week. That she is now reunited with Jim makes me smile, though I know her family must be grieving. What a mark she left on Christianity! She was an exceptional picture of living the crucified life.